A Geographic Information System (GIS) is a system designed to capture, store, manipulate, manage, and display all types of geographically-referenced data. The power lies in being able to spatially analyse and interpret the data for patterns. What does Vinehealth Australia see as the benefits of GIS Services? Improved communication – GIS maps and visualisations greatly assist in targeted communications directly to those affected, such as in outbreaks for fruit fly and fires (click here for more information). 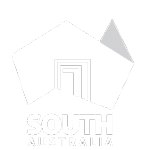 Cost savings from greater efficiency – under the Phylloxera and Grape Industry Act 1995 all vineyards in South Australia of 0.5 hectares or more are required to be registered with Vinehealth Australia in order for us to complete our functions under this Act. As part of our Vineyard Register, each vineyard is mapped, and details on plantings and land parcels recorded. Aerial imagery capture greatly assist in managing the addition and removal of plantings from the register in order to maintain its currency. Better decision making – GIS aids in making informed decisions using location. Having an aerial map allows you to better visualise the variations in relative vine vigour, soil type, aspect or vine health across a block, allowing for targeted management of these areas. Vinehealth Australia uses aerial imagery to look for specific patterns in the health of vines across vineyard blocks, to target on-ground surveillance for phylloxera. For more information, click here. Better record keeping – A primary responsibility of the vineyard register is to maintain authoritative records about the status and ownership of vineyards. Brendan Tully, GIS Specialist for Vinehealth Australia is responsible for managing the spatial layers and ensuring they are accurate, current and in sync with the Vineyard Register. Vinehealth Australia also produces a variety of maps specific to the grape and wine industry. For further information, click here.